218 modern Sino-Portuguese inspired rooms, reflecting the history and beauty of Southern Thailand. All rooms at this Ao Nang beach hotel feature a balcony with mangrove or pool view, duck down duvet, crisp white linens and your choice of firm or soft pillows. All bathroom amenities and tea making facilities are provided. Located adjacent to Holiday Inn Resort Krabi Ao Nang, guests staying at this Ao Nang beach hotel will enjoy close proximity to the beach just a short walk away. The hotel is located 30 minutes away from Krabi International Airport (KBV) with optional airport shuttle service and is conveniently situated within walking distance to a variety of local restaurants, bars, and local snack options. There is a shopping area in front of the hotel and it is only a 10 minute walk to Ao Nang Centre. Stay connected with free Wi-Fi throughout the hotel and stays fresh and relaxed with our power shower, balcony and large outdoor swimming pool after a long day of leisure activities. For guests who are on-the-go, Holiday Inn Express Krabi Ao Nang Beach provides a signature Grab & Go breakfast to keep you energized throughout the morning. Exclusively for this Ao Nang beach hotel, a dedicated tour desk at the lobby offers advice and bookings for many exciting local excursions. Visit our special offers page for exclusive online deals! 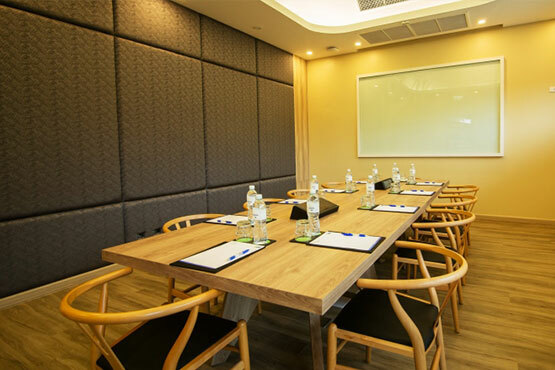 What if your next meeting in Krabi is conveniently located on Nopparattara Beach, a short drive from Krabi International airport and walking distance to Ao Nang town, Holiday Inn Express Krabi Ao Nang Beach is perfectly placed for your seminar or small business workshop. 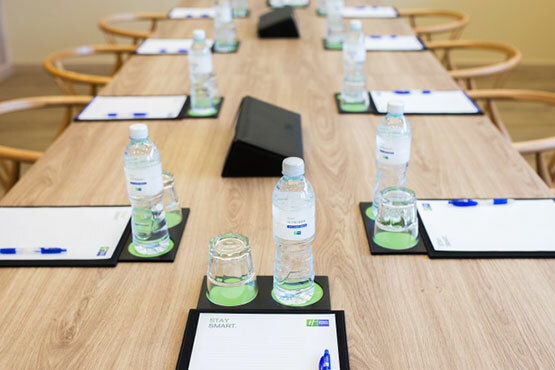 Our meeting room can accommodate up to 12 people and our experienced and attentive team is on hand to ensure a smart and smooth meeting in Krabi. 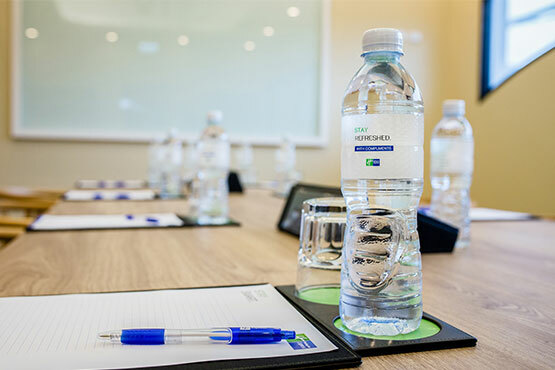 At Holiday Inn Express Krabi Ao Nang Beach, sometimes the most important meetings are actually the ones just outside the room. 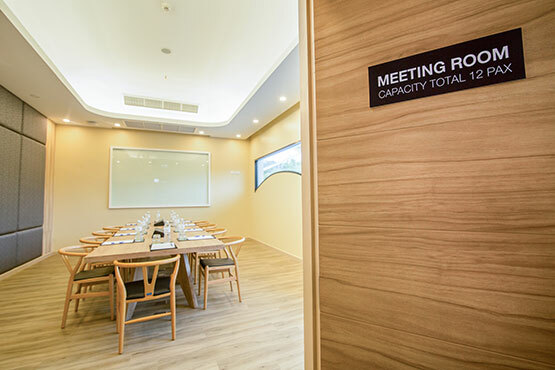 Make your next meeting in Krabi a truly memorable one with excursion trips you could simply arrange at the lobby, great dining experience at reputable local restaurants near the hotel, beach walk experience and much more. Traveling to Krabi night market or Tiger Temple is easy with public transportation hub in front of the hotel.